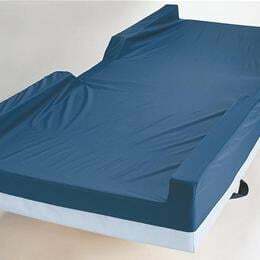 Medline Advantage Pe Mattress, 36" X 80" X 6", Fb - Our Most Advanced Pressure Redistribution Mattress. Soft, Sculpted Top Layer Of High-Resiliency Foam. 450 Lbs. Weight Capacity. Zoned Core Helps Cradle Bony Prominences. Center Layer Of Convoluted Foam Promotes Air-Flow To Help Manage Heat Build Up. Super Soft Heel Section Features Visco Elastic Memory Foam. Nylex Super Stretch Premium Cover. Fluid-Proof And Antimicrobial. Meets Federal Fire Standard 16 Cfr 1633. 450 Pound Weight Capacity.